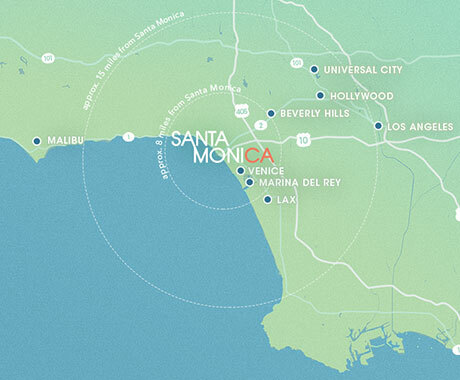 Looking to get to know Santa Monica, LA’s beachside city, before you visit? Enjoy this Instagram-led tour inspired by the many locations, attractions, activities and food that inhabit this coastal town. For more visual inspiration, follow @SeeSantaMonica on Instagram. 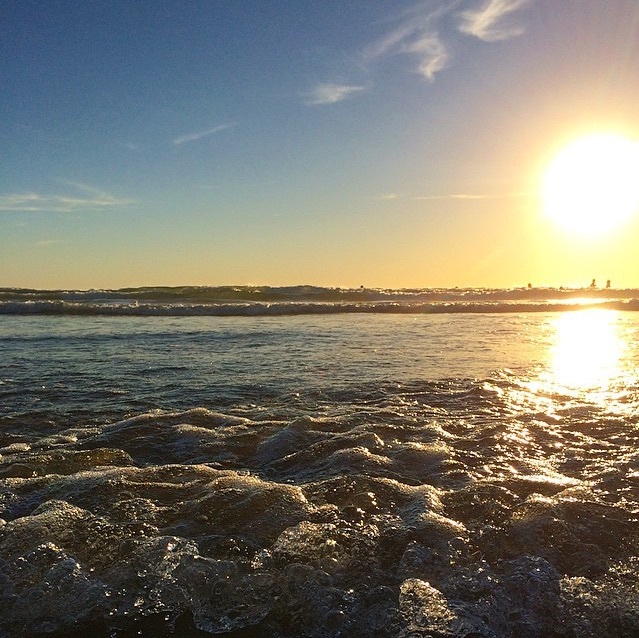 Snap and share photos during and after your visit using #seesantamonica and #santamonicasunset. 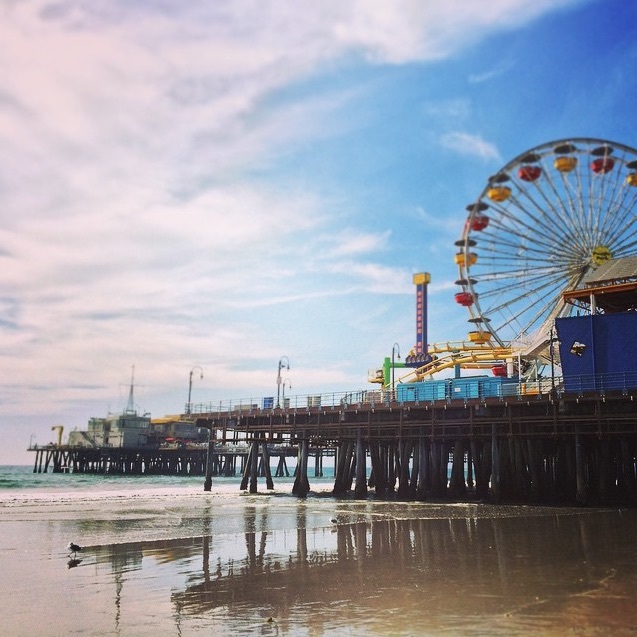 As an iconic symbol and the near end of the historic Route 66, Santa Monica Pier hardly needs an introduction. The 2nd most Instagrammed place in California and 8th most in the entire world, Santa Monica’s photoworthy Pier has something for everyone – games, food, attractions and an amazing spot to snap a picture that combines a beach view and endless fun. Bring the whole family and have fun at Pacific Park with the first and only solar-powered Pacific Wheel and the renowned West Coaster. 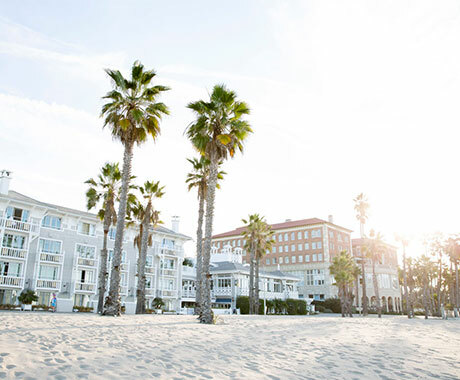 Stay at one of Santa Monica’s 40 hotels during the region’s 300 days of sunshine and enjoy the various amenities and specials provide year-round. Every hotel offers something different from a chic retreat or a family vacation to unique value-adds like free bikes to use or complimentary fitness classes for guests. Come experience something new in Santa Monica with mouth-watering menus, some of the best pool bars, and excellent vacation packages. As a premier shopping destination, Santa Monica features a diverse mix of shops where visitors can purchase everything from surfboards to designer clothing all in one day! Strolling down Montana Avenue is perfect for finding upscale, chic items. Main Street offers eclectic and beachy boutiques that are ideal for the cool hipster or a trendsetter. 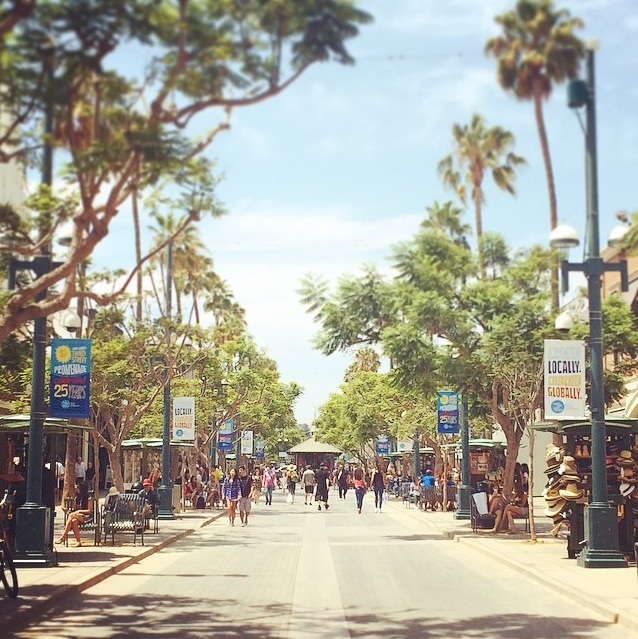 Downtown Santa Monica and Santa Monica Place offer every brand imaginable and is home to the indistinguishable Third Street Promenade. Santa Monica has over 400 restaurants that can accommodate any budget. 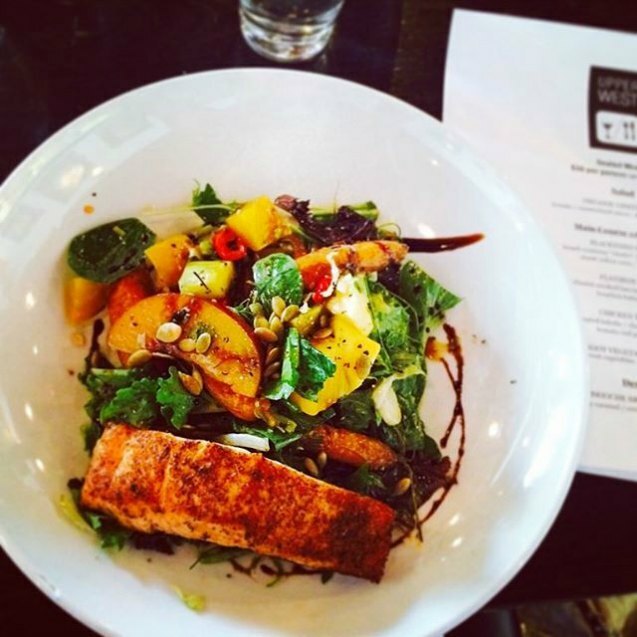 Recognized as a birthplace for “California” and “fusion” food, the cuisine is created from organic and locally sustainable ingredients from the farmers markets. Look no further for world-class cuisine where in some instances, diners can enjoy a side of coastal views and an ocean breeze. Santa Monica’s four weekly farmers markets have impacted the dining scene throughout Los Angeles and have inspired farm-to-table menus. The fours farmers markets occur weekly and are: Main Street on Sundays in Heritage Square, Virginia Avenue Park on Saturdays and Downtown Santa Monica on Wednesdays and Saturdays on Arizona Avenue and Second Street. 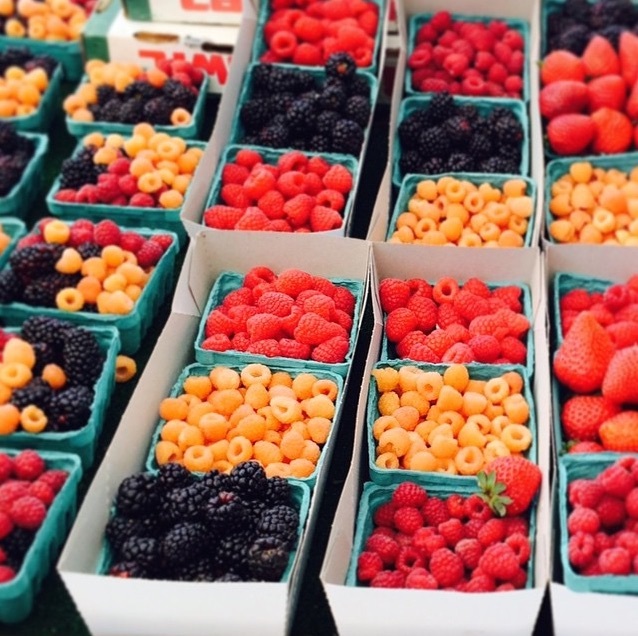 Over the years, the Santa Monica Farmers Market has been named one of the best markets by both Travel & Leisure and Condé Nast Traveler. 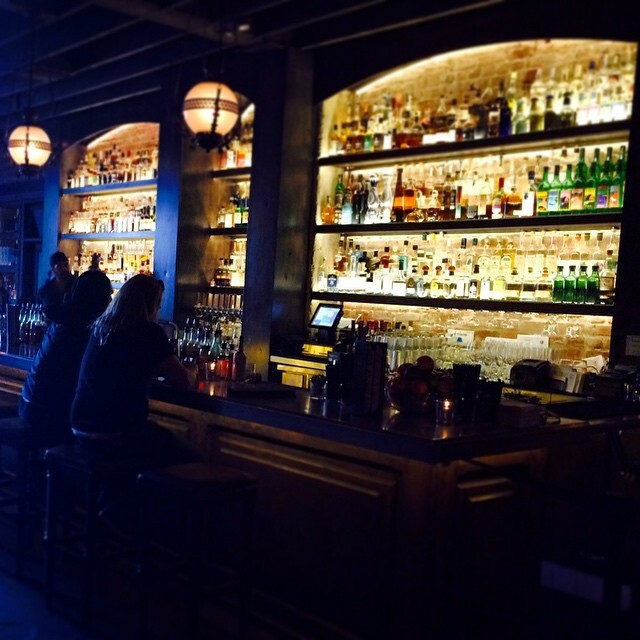 When the sun goes down, Santa Monica’s eclectic nightlife spots come to life. There is something for everyone whether it is grabbing a drink along the trendy Main Street bars, sipping on innovative cocktails at stylish lounges or relaxing at a neighborhood gastropub. 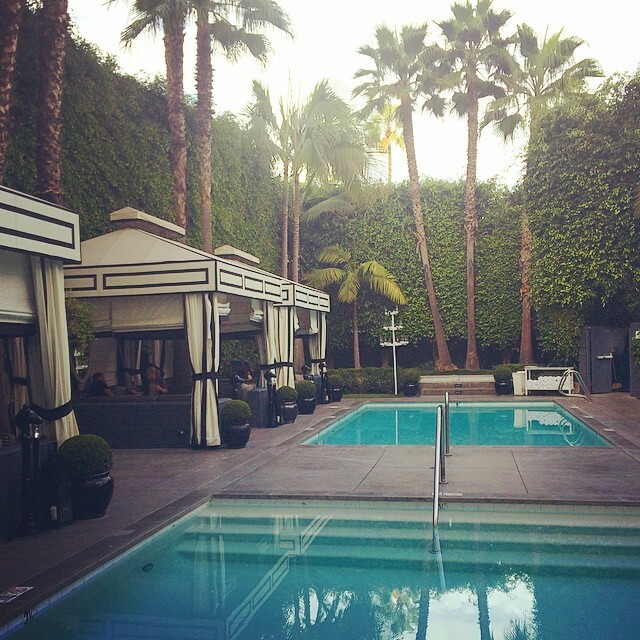 Santa Monica hotels also feature some of the most exciting and elegant bars in the city. With a mixture of urban and beach culture, Santa Monica is home to over 120 museums and art galleries, nearly 40 of which reside at Bergamot. Become in tune with local artists and their cutting edge artwork or take in a powerful performance at one of the astounding theater locations. 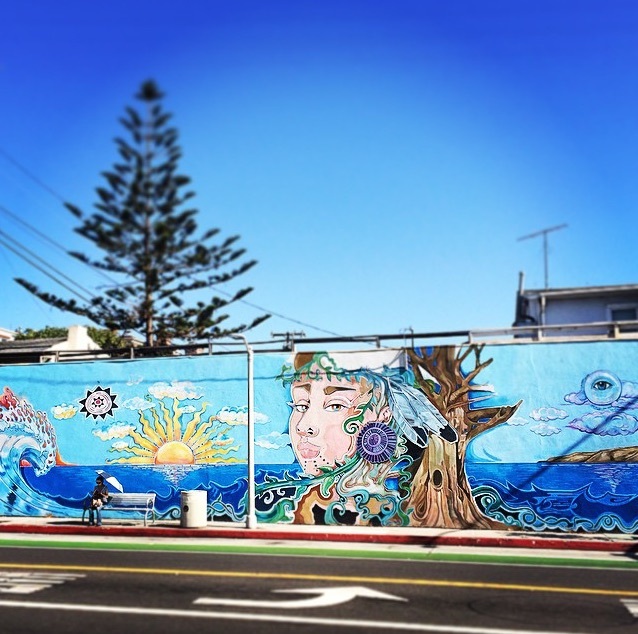 The artistic culture can be felt while walking along the streets with colorful murals and historic architecture that gives the city life. Wellness is an essential to daily lifestyle for the Santa Monica local. 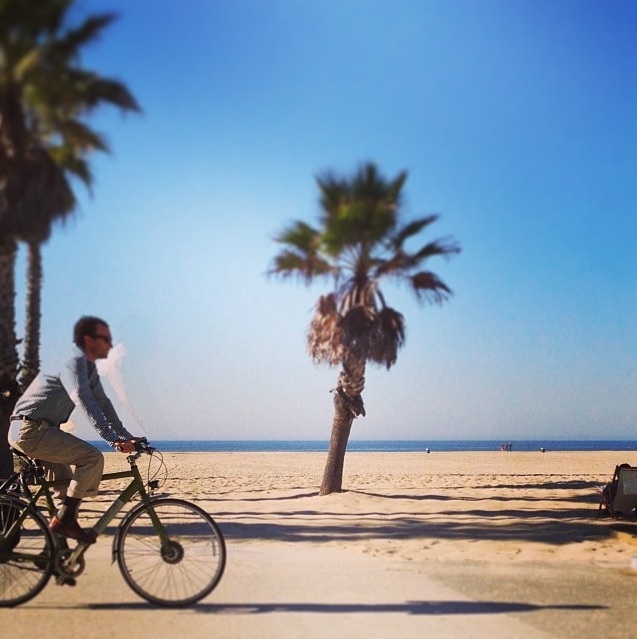 Enjoy Santa Monica’s near 300 days of sunshine with some beachfront yoga classes, or cycling down the 22-mile Marvin Braude Bike Trail, also known as The South Bay Bicycle Trail or The Strand, that stretches along the Pacific coastline. This beachfront city is also home to a host of fitness trends from aerial silks to competitive spinning and HIIT classes that are coveted by celebrities and locals and can be tried in studios across town. The laidback beach vibes of the city are here for a reason. That’s because Santa Monica has a surf culture that stems from the beginning of the 20th century. Local surfers can be spotted all around town, not just on the beach. 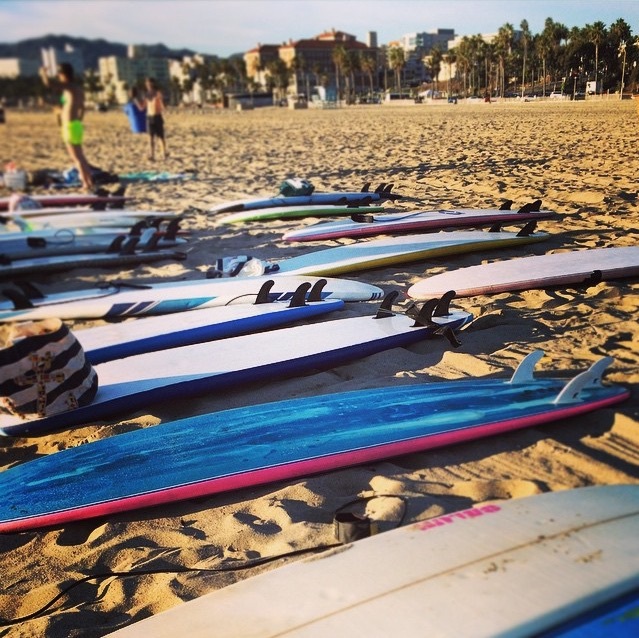 Try a class, watch the surfers or head to a board shop to experience a part of the surf life in Santa Monica. Santa Monica has a reputation for producing some of the most gorgeous beach sunsets. Who doesn’t love seeing the sun move down a blushing skyline and disappearing along the glowing horizon while hearing the sound of ocean waves crash along the beach? If you experience a worthy sunset use #SantaMonicaSunset for a chance to be featured as our sunset of the week!